This page is intended to help you as you begin a new school year using Engrade, the more modern, flexible platform on which Acuity content will be offered. We've provided the most relevant and important information that Acuity users would be looking for as you get started on Engrade. Make sure to bookmark the page for quick access later! Please contact your Engrade Account manager for specific instructions on your district's/school's rostering process. 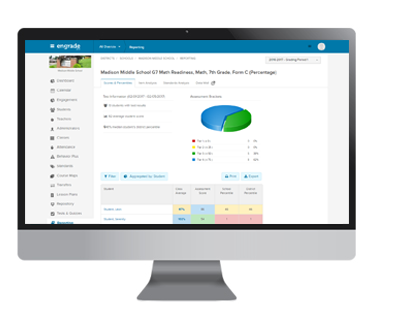 You will be responsible for adding School Administrators to each of your appropriate schools in Engrade. Please see the following help article for step-by-step directions on adding school administrators: Add New School Administrator. Your Account Manager will be in contact with you to make sure you have the right documentation depending on your needs. The articles below will show how to access reports in Engrade.